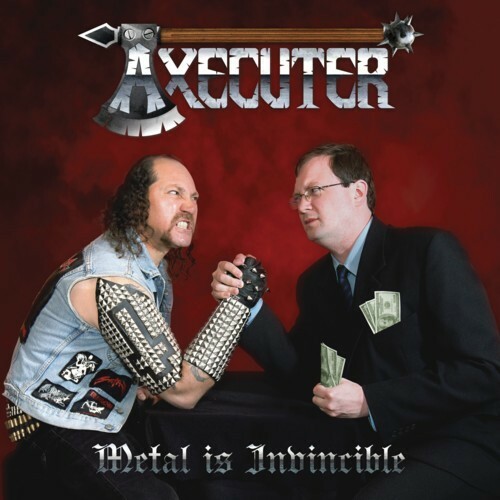 Infernö Records PROUDLY presents “Metal is Invincible", the long waited debut album from the restless brazilian warriors AXECUTER ! After a period of tribulations, they´re back and ready to continue their resistance saga, no matter who it hurts! Here you´ll find nothing but pure and savage METAL, 100% free from every disgusting modern tendency. If you are a real, I mean REAL old school worshipper, you won´t get ripped off...be sure !!! CD comes with a MANILLA ROAD Cover-song as bonus ! "Heavy Metal To The World" feat. Mark "The Shark" Shelton himself !! !